Chris sets up a drift fence following a major wildfire at Booderee in 2003. Photo credit: Esther Beaton. A highly dynamic and diverse landscape, Jervis Bay on the coast of south eastern Australia is a special place for wildlife, flora and research. The Jervis Bay Long-term Monitoring and Fire Response Study was set up in 2002 in collaboration with Booderee National Park and the Wreck Bay Aboriginal Community. The study is led in the field by Chris MacGregor. Originally the intention of the study was to establish 110 sites in different vegetation types with different fire histories and then experimentally measure the response of biodiversity to prescribed burning. Sites were set up within forest, heath, woodland, shrubland and sedgeland. However, a major wildfire occurred over Christmas in 2003, leaving approximately half of Booderee National Park burnt, including about 50 of the monitoring sites. This dramatic event presented an opportunity to compare populations of fauna before and after the major fire, with now over 12 years of monitoring completed. The majority of sites are located within Booderee National Park within the Jervis Bay Territory. 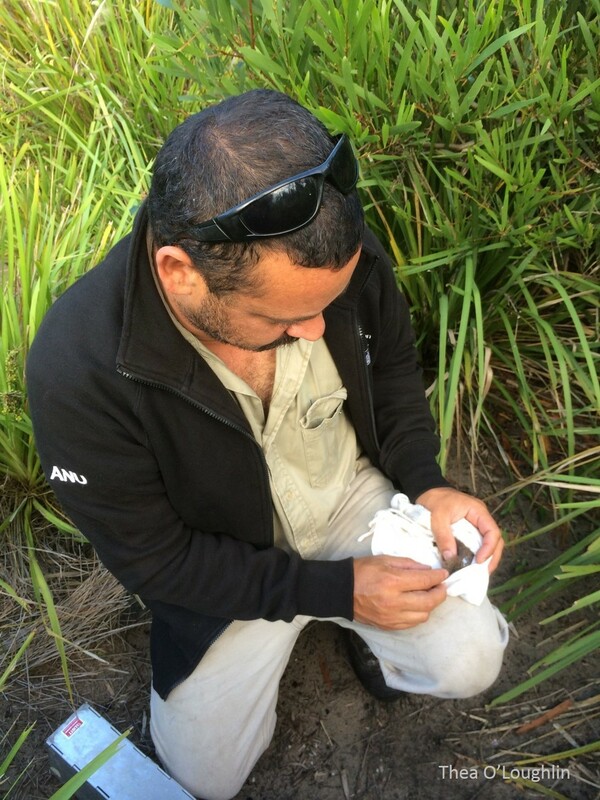 There are now 140 sites in total with the majority of sites located within Booderee National Park within the Jervis Bay Territory. This area is jointly managed by the Wreck Bay Community and the Australian Government. The study is indebted to the continued support and involvement of the Wreck Bay Community. An additional 40 sites are located in Department of Defence land of HMAS Creswell and Beecroft Weapons Range. The overarching research focus is monitoring fauna recovery post-fire. Birds, reptiles, amphibians and mammals (both arboreal and terrestrial) are monitored. Vegetation is also studied in order to compare any changes in fauna numbers and abundance to changes in vegetation. 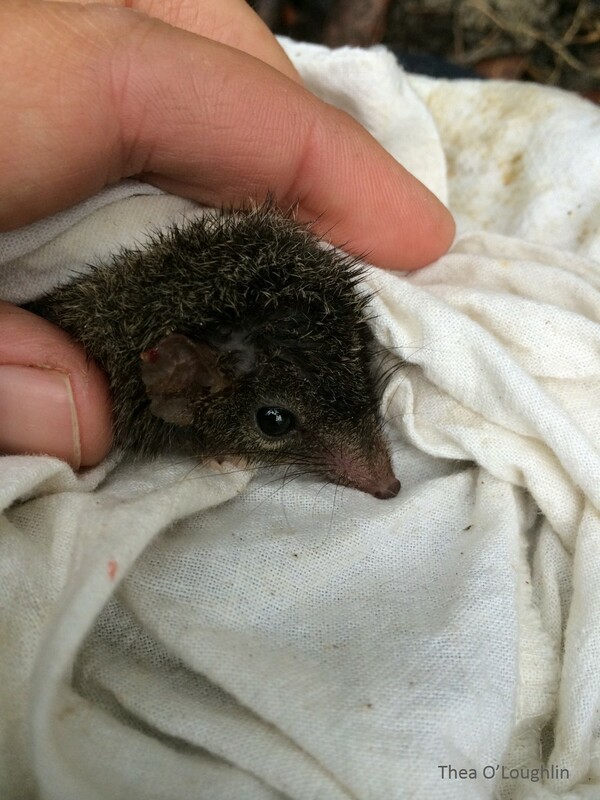 Other studies currently being undertaken by The Australian National University within Booderee National Park includes; a radio telemetry study of Long-nosed Bandicoots to determine home range, habitat use and nest use; monitoring of the reintroduced Long-nosed Potoroos; a study of the combined effects of fire and wallaby browsing, a study measuring the efficacy of spraying and burning the introduced Bitou bush and a population study of the Eastern small-eyed snake. We would like to acknowledge the Wreck Bay Aboriginal Community who are the traditional custodians of Booderee National Park. This project would not be possible without the close and ongoing support of the Wreck Bay Aboriginal Community. This study is also supported in partnership with LTERN*, Department of Defence, and the Department of the Environment (Parks Australia). The Australian Research Council has been a past major sponsor of the research. *LTERN is a Facility within the Australian Government-funded Terrestrial Ecosystem Research Network (TERN). TERN is funded through the National Collaborative Research Infrastructure Strategy. Lindenmayer, D., MacGregor, C., Dexter, N. and Fortescue, M. (2014). Booderee National Park: The Jewel of Jervis Bay. CSIRO publishing.